TripAdvisor has given its eco-friendly award as part of its GreenLeaders Program to the Villa Group’s Villa del Palmar Cabo and Villa del Arco resorts in Cabo. These two celebrated Villa Group resorts in Cabo San Lucas have recently received recognition for their eco-friendly efforts by TripAdvisor’s GreenLeaders Program. This new and exciting program recognizes resorts and hotels who have introduced green practice to help the environment. While all of the Villa Group’s resorts located in Loreto, Riviera Nayarit, Cancun, and Puerto Vallarta are practicing eco-friendly initiatives, the group’s resorts in Cabo are leading the way. Check out more details for the TripAdvisor Eco-Friendly Award for Villa Group in Cabo. 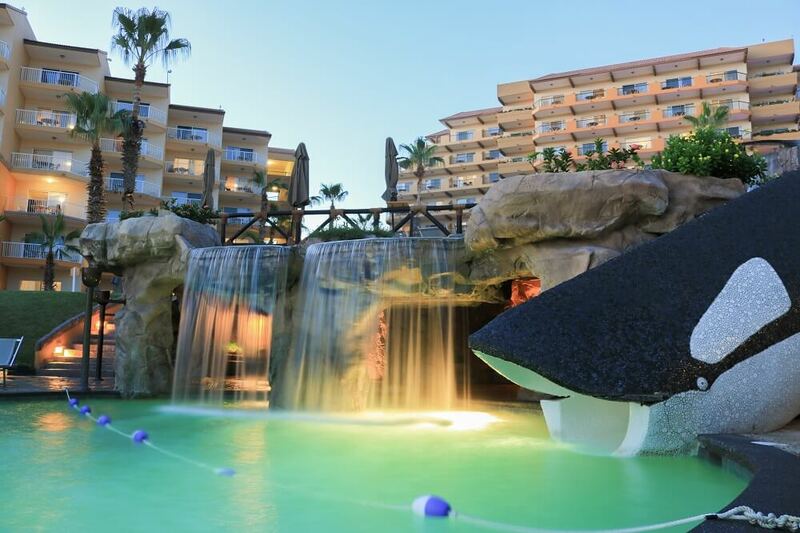 Villa del Palmar Cabo and Villa del Arco Cabo San Lucas were both awarded TripAdvisor’s GreenLeaders Program’s Silver Award, which means these two resorts are considered “green” partners because they have met the requirements of the program. A number of factors are considered in order to be awarded the badges: each resort is graded upon its contributions to protecting the environment and a score is determined to be ranked against other resort. The Villa Group’s two sister resorts in Cabo ranked very high according to the TripAdvisor GreenLeaders Program due to the efforts the two resorts put forth with their energy saving initiatives. All of the suites have energy efficient appliances, and energy-saving architecture has been designed which allows the buildings to stay cool even on the hottest days. Furthermore, 75% of the resorts suites use energy efficient light bulbs. Each of these resorts have set up eco-friendly educational programs for guests and staff members, so each individual can learn how to help the environment while at the hotels. One way the resorts are getting their guests to join in is by giving them the option to limit the number of times linen and towels are washed, which is very effective in cutting down water and electricity waste. The two sister resorts also have an active recycling program, so each guest and staff member can do their part in reducing waste and the ecological footprint when they are staying in Cabo. Who decides the TripAdvisor GreenLeaders Award? The United States Environmental Protection Agency’s ENERGY STAR Program, the United States Green Building Council’s LEED Certification Program, the United Nations Environment Program and TripAdvisor along with other green experts are in charge of the Green Leaders Program, which means the recognition is very meaningful and important for all resorts and hotels. If your hotel or resort has been ranked as a green resort, then it is very valuable and important. Congratulations for the TripAdvisor Eco-Friendly Award for Villa Group in Cabo.